Day one in Brussels feels a bit like a dream. 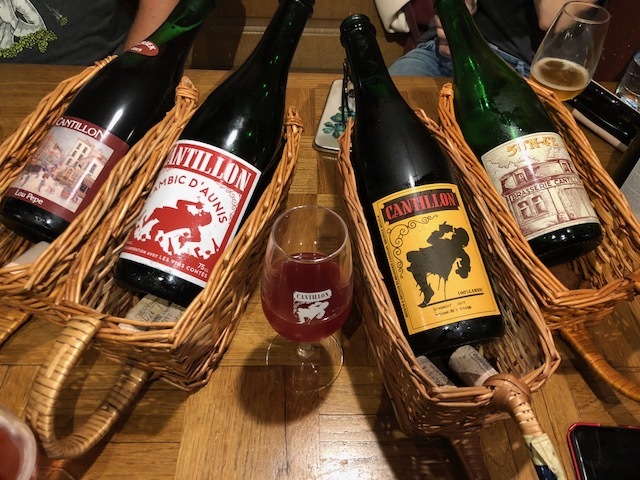 We hopped off the plane and instead of doing the usual nap, we headed directly to Pistolet for a classic Cantillon Gueuze and some crispy Croque Monsieurs. This tiny little sandwich shop was the perfect place to shake off some of the travel fatigue before heading to Cantillon, one of the best places in Brussels for all things lambic. I've written about this spot countless times before so if you need a refresher just click here. The old, dusty brewery was quite crowded when we arrived with people taking tours and sharing bottles. 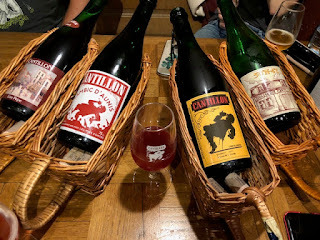 Since there were six of us, we were easily able to work our way through the entire list which included some of my favorites like Lou Pepe Kriek, Saint Lam and Nath, along with some new bottles like Cinsault and the delicious Lambis d'Anuis that had an addictive spicy, fruit flavor I loved. After Cantillon we split up as a group. 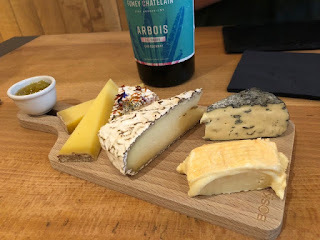 Some went off the take a shower, others off to bed (Mr. T and I went to Moeder Lambic) then we meet back up at La Frutiere, a delightful cheese shop and bar specializing in natural wines. The owners created us a fantastic plate of cheese paired with a bright, lively Chardonnay from the Jura region of France. This was the perfect little spot to relax after a full afternoon of beer drinking. 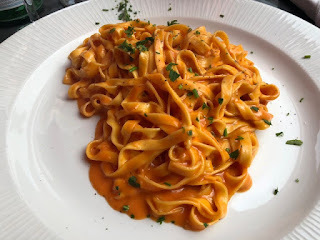 Then it was off to dinner at Pasta Divina, a casual spot for home cooked pasta right off the Grand Palace. I honestly never think of eating pasta in Brussels; we usually focus on big, rich meat dishes like rabbit and duck. But this place now has a permanent spot on our Brussels eating itinerary. 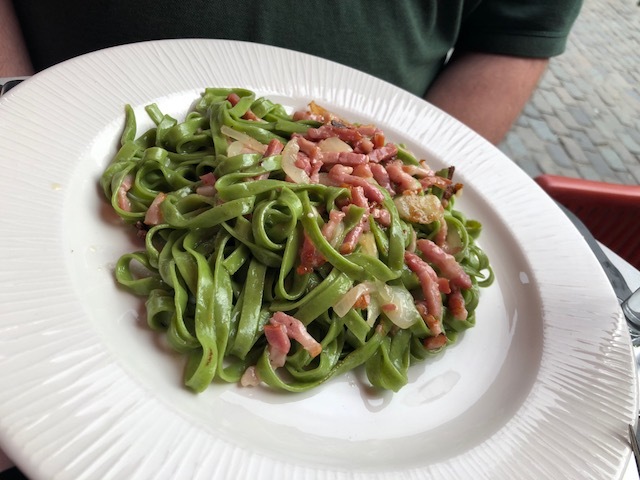 I loved the creamy tomato cheese sauce on the tagliatelle and while the bacon studded spinach pasta didn't exactly look appetizing, it tasted wonderful. After dinner we enjoyed a glass of wine near the Grand Place and then the enormity of what we done since our last sleep (way back in NYC) set in and we headed off the bed.